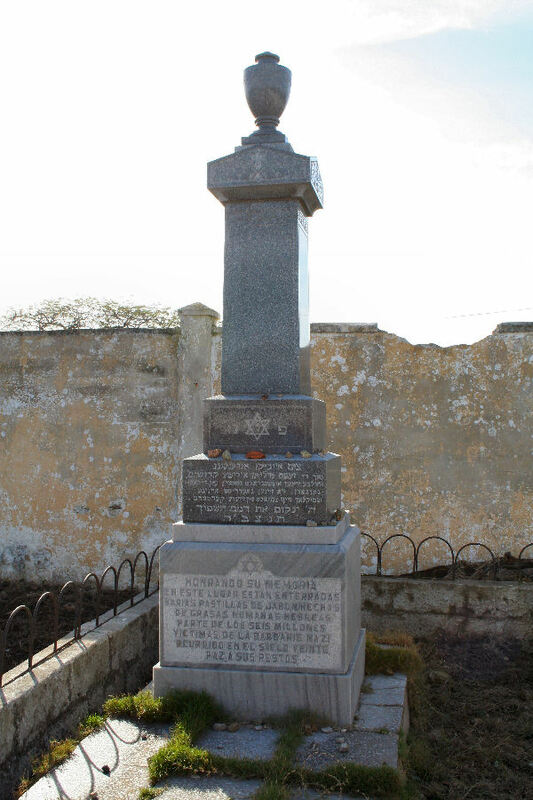 left, top: the memorial itself, which is located in the heart of Perth in Sterling Gardens, on the corner of Barrack Street and St. George's Terrace. 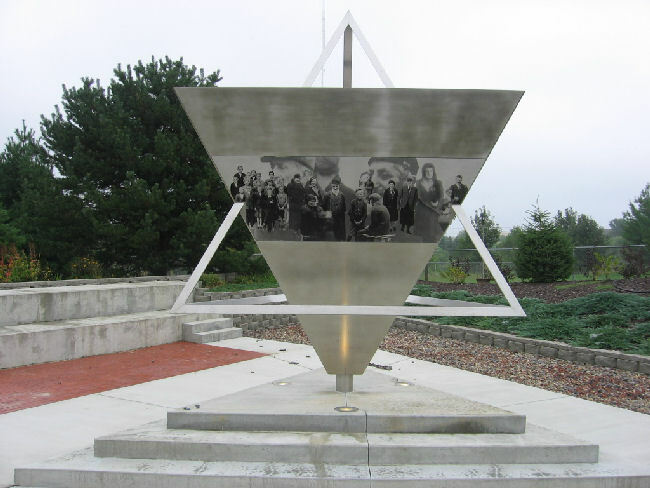 left, middle: "This memorial to the victims of the Holocaust was unveiled by the Premier of Western Australia, the Hon. Richard Court MLA and the Rt. Hon. 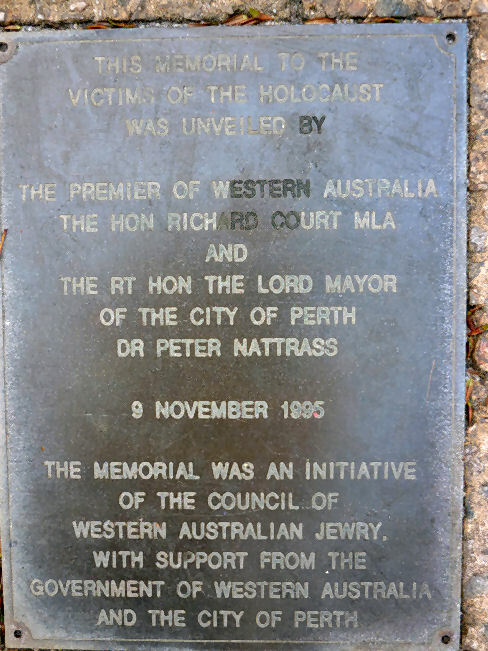 the Lord Mayor of the City of Perth Dr. Peter Nattrass, 9 November 1995. 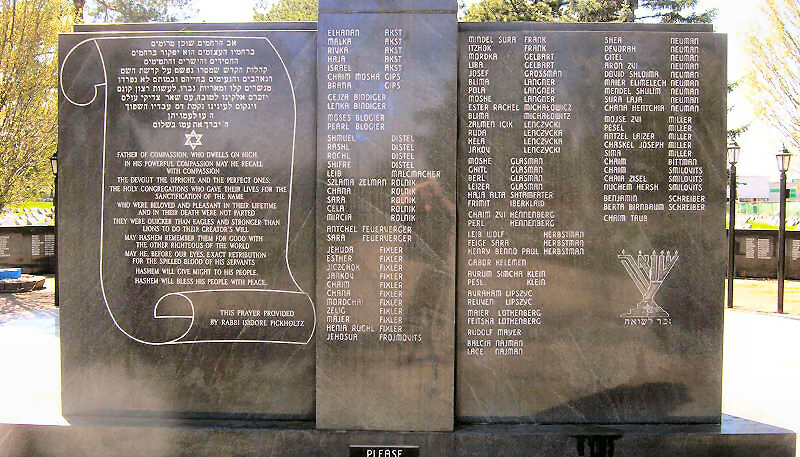 The memorial was an initiative of the Council of Western Australian Jewry. With support of the Government of Western Australia and the city of Perth." 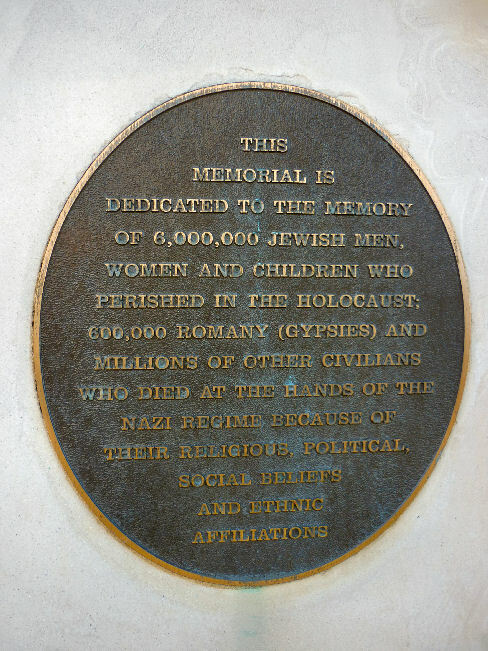 left, bottom: "This memorial is dedicated to the memory of 6,000 Jewish men, women and children who perished in the Holocaust; 600,000 Romany (Gypsies) and millions of other civilians who died at the hands of the Nazi regime because of their religious, political, social beliefs and ethnic affiliations." 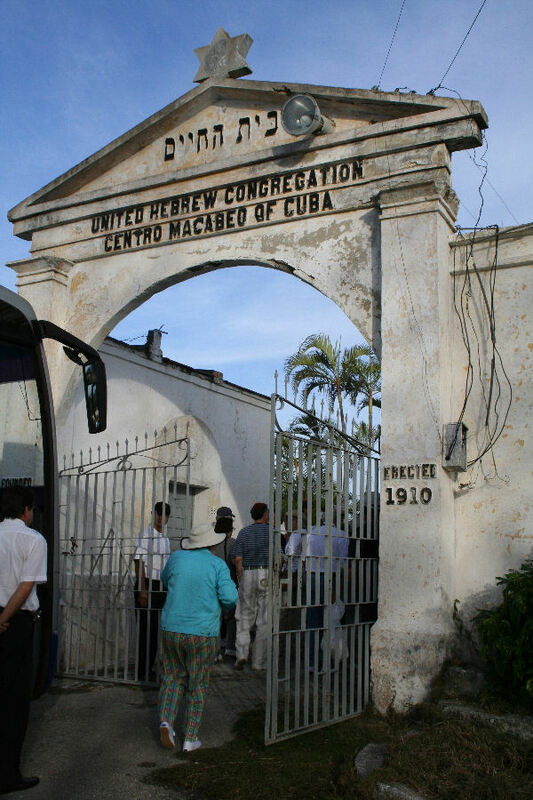 on the grounds of the United Hebrew Congregation Centro Macabeo of Cuba Cemetery (founded in 1910) in Guanabacoa. 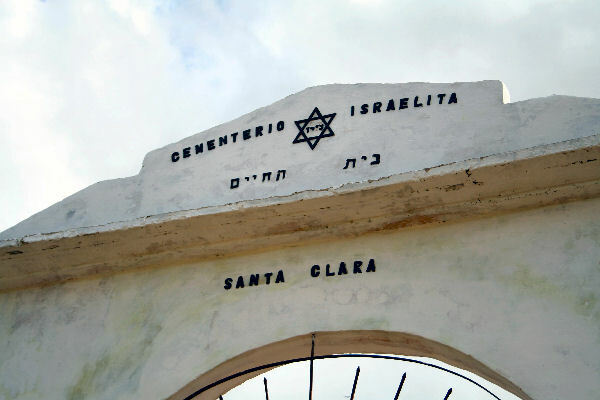 The gate photo is of the main (and only) entrance to the Ashkenazi cemetery. 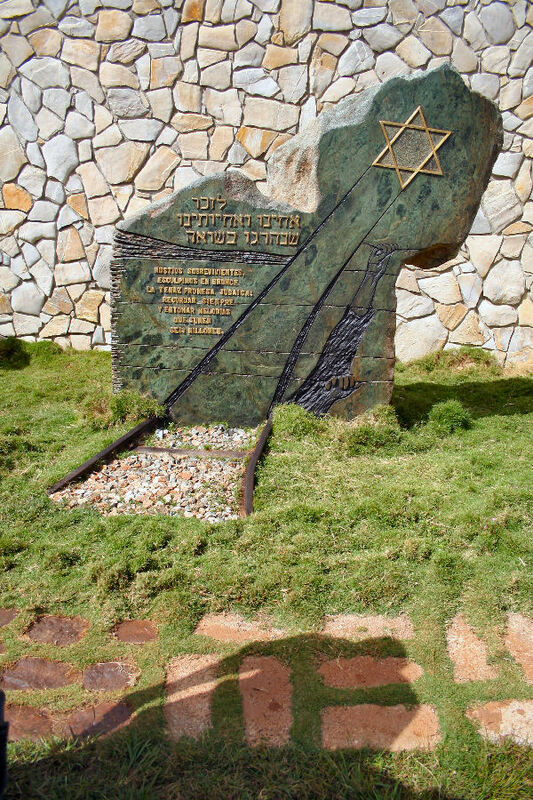 "Honoring their memory in this place are buried several bars of soap made from Hebrew human fat, part of the six million victims of Nazi barbarism that occurred in the twentieth century. 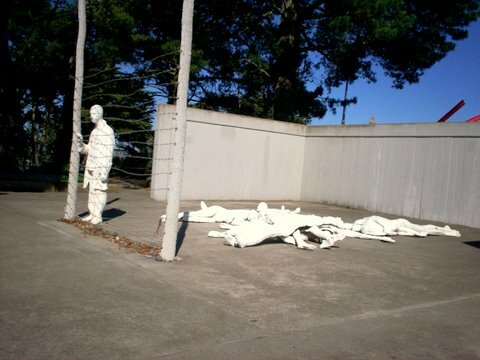 Peace to their remains." 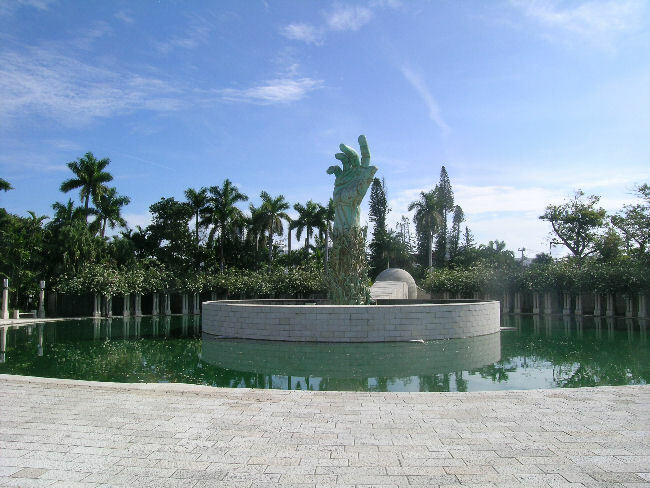 on the grounds of the Union Hebrea Chevat Achim Sephardic Cemetery (founded in 1914), very close to the grounds of the United Hebrew Congregation Centro Macabeo of Cuba Cemetery in Guanabacoa. 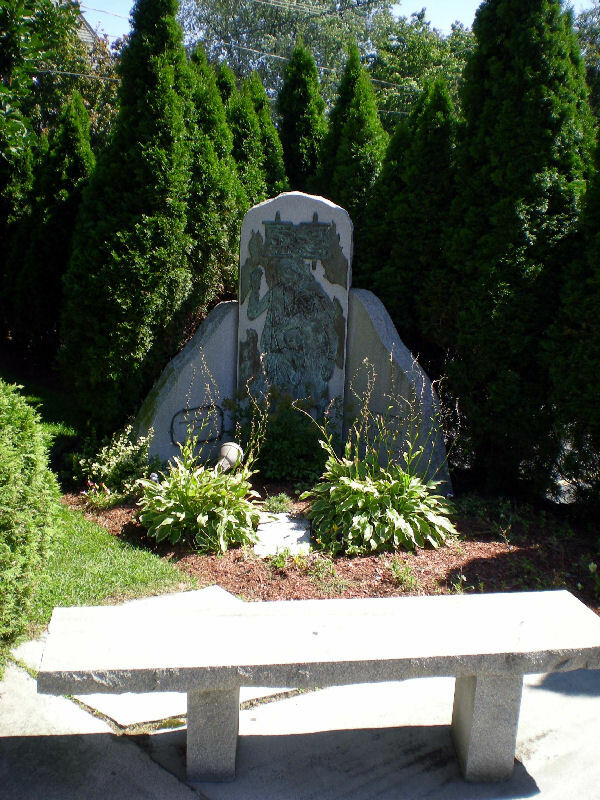 The gate photo is of the main entrance to the cemetery. 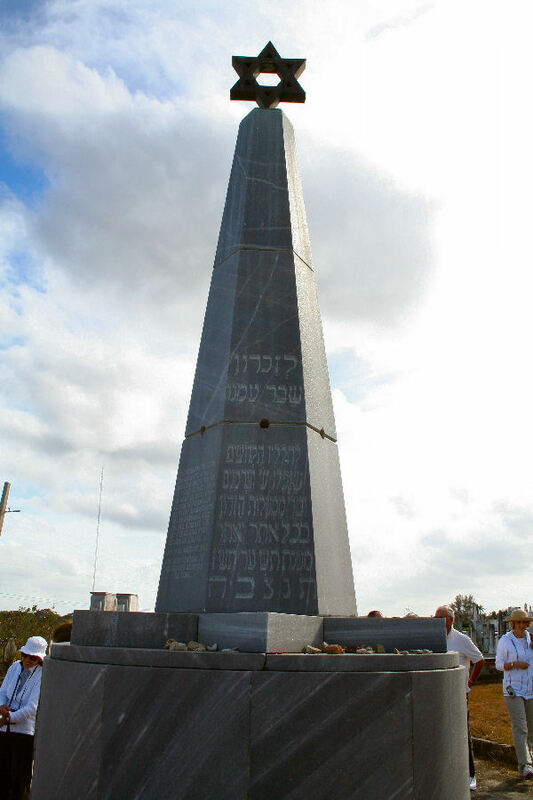 "The Hebrews of Cuba dedicate this monument to...of the....in memory of the millions of brothers sacrificed because of the Nazi Fascist barbarism, during.....in Europe. 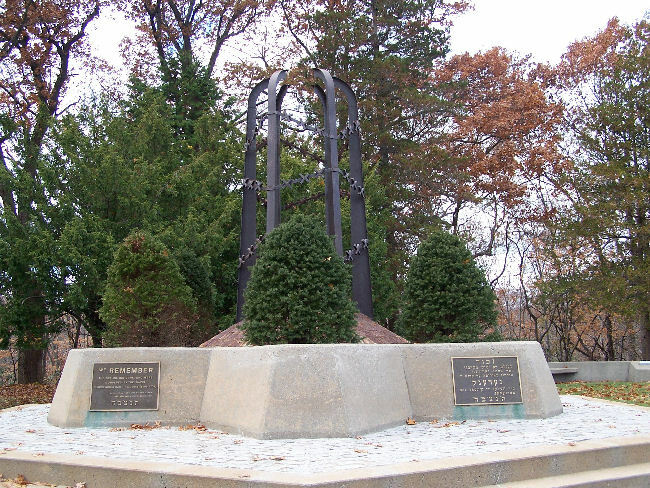 "The monument was dedicated in March 1947. 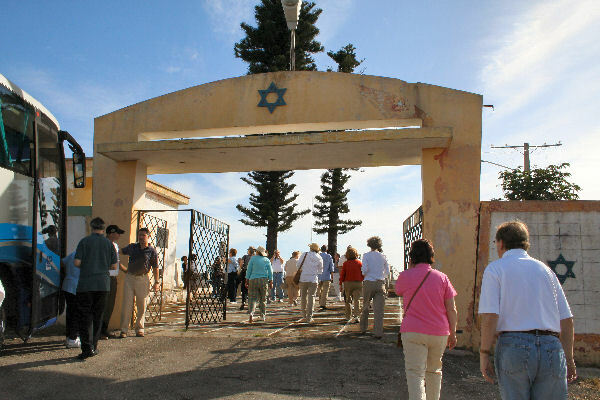 ....Central of the Hebrew Societies of Cuba. inside the grounds of the Cementario Israelita Bet Ahyim, located by the entrance. 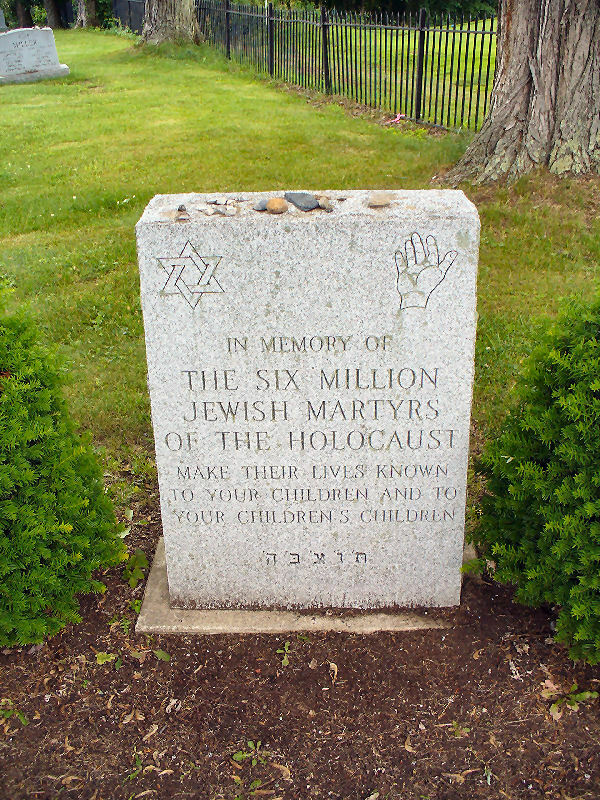 "Survivors faded, sculpted in bronze the tenacious Jewish promise. Always remember and sing melodies that add up to six million." 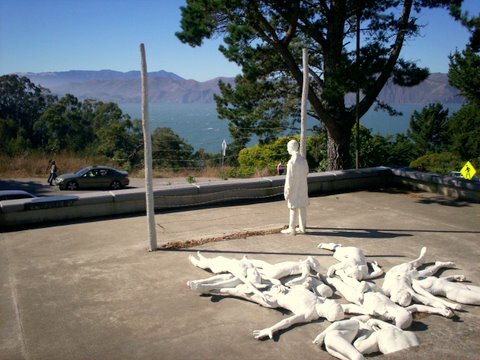 on the grounds of the Legion of Honor Museum. 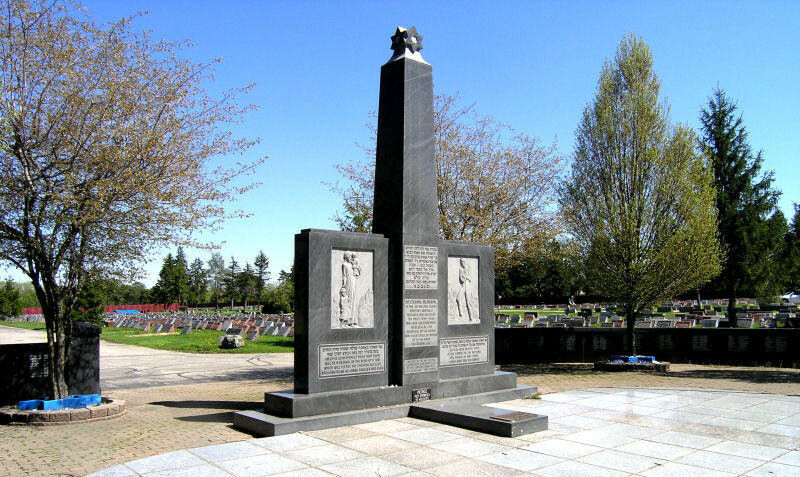 The memorial, dedicated in 1977, was built on public parkland. 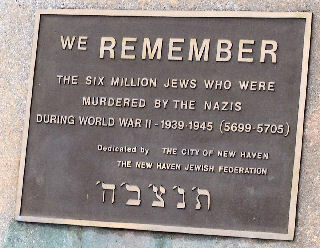 A box containing ashes and dirt from Auschwitz was buried at the ground-breaking ceremony by local Holocaust survivors. 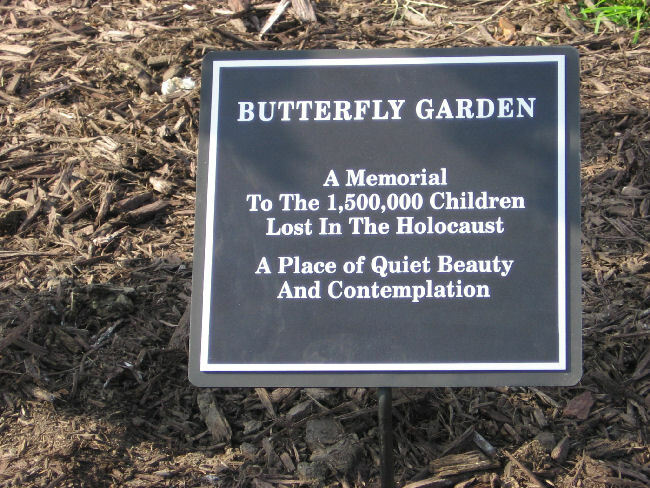 A small number of Holocaust survivors formed a committee in 1984 with the intention of creating a permanent memorial to the six million Jewish victims of the Holocaust. 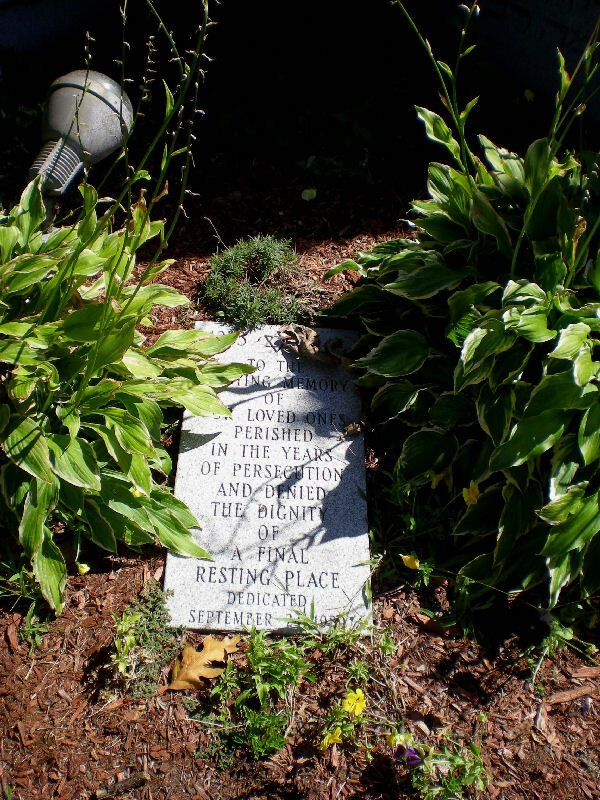 A private non-profit organization was formed a year later, and a site was found for the memorial in Miami Beach on Meridian and Dade Avenues. 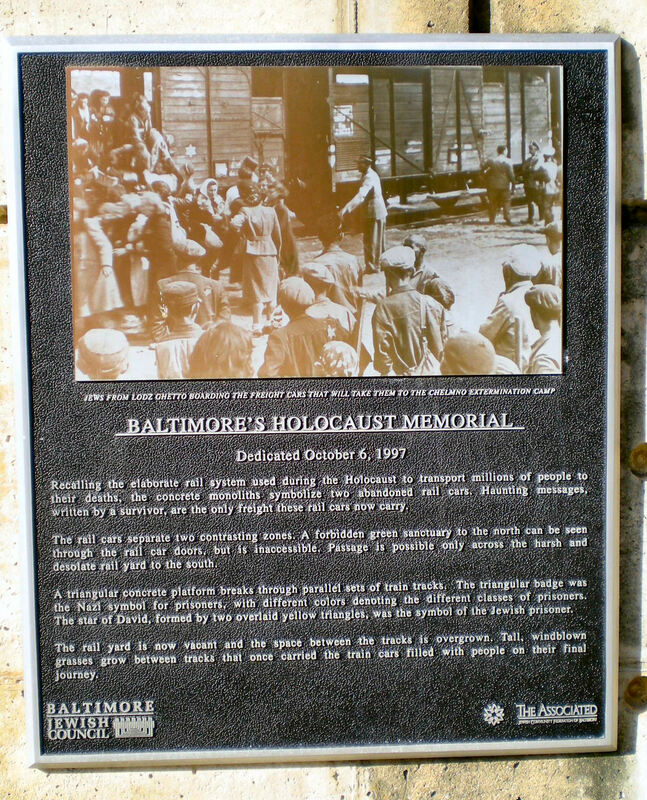 Read more about the memorial by clicking here. 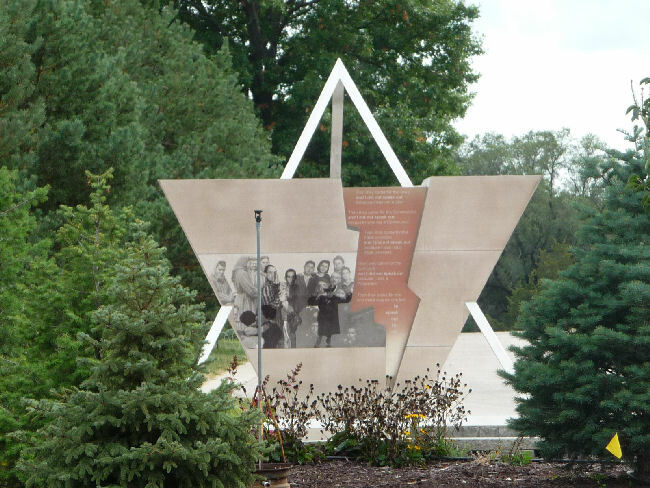 The memorial is located in Woldenberg Park on the bank of the Mississippi River. 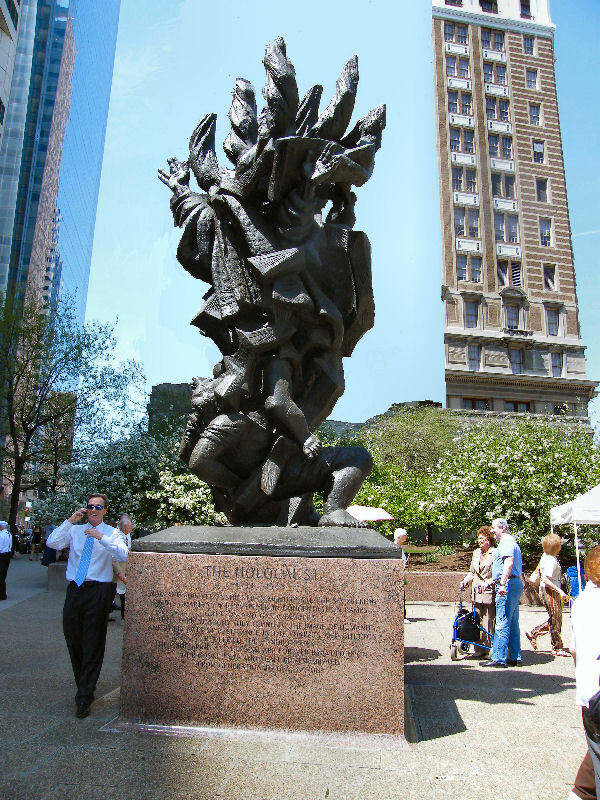 It is "artistic visual prayer in memory of the Six Million Jews of Europe and those millions of other victims who were tortured and murdered by the Nazis and their collaborators from 1933-1945." 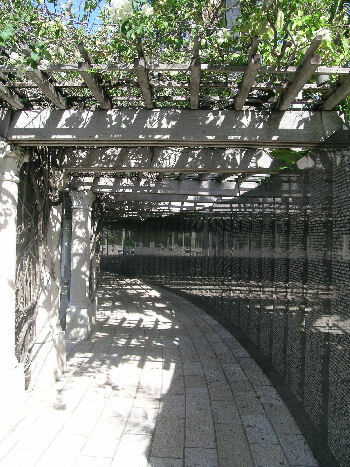 The memorial has nine panels with their own design. 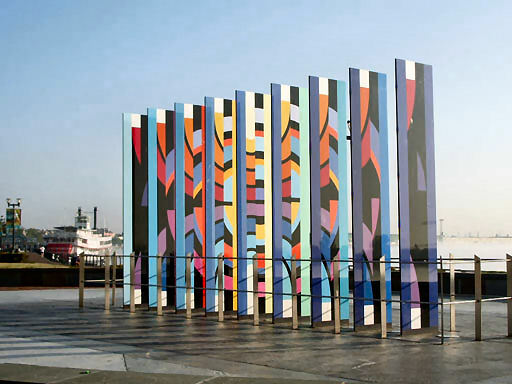 By viewing it from different angles, one may see different images as the panels appear each time in a unique design. found on the corner of Lombard and S. Gay Streets. 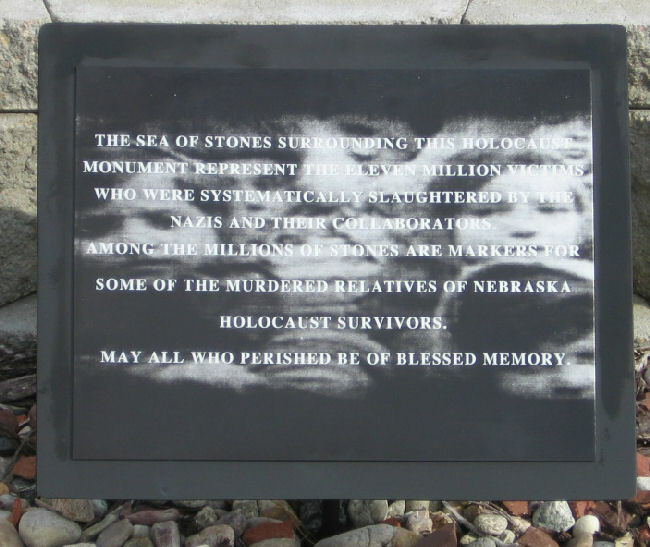 The Nebraska State Holocaust Memorial is located at the Nebraska State Cemetery (Wyuka). 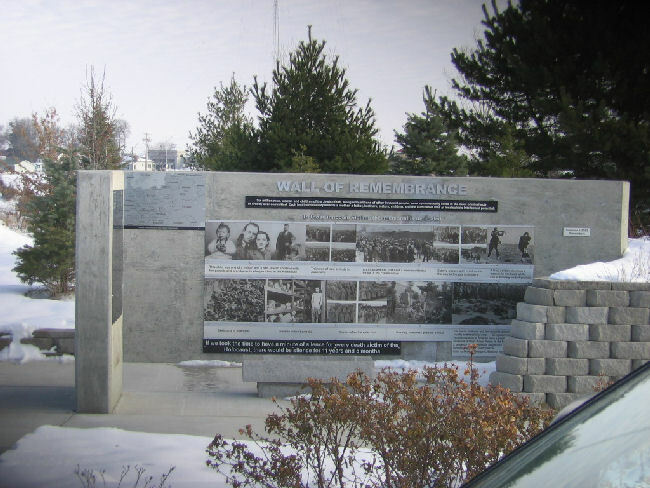 The Memorial was dedicated in April 2007. 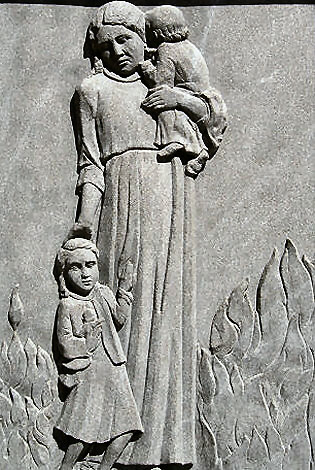 The artist for the Memorial is Morton Katz of Canada. 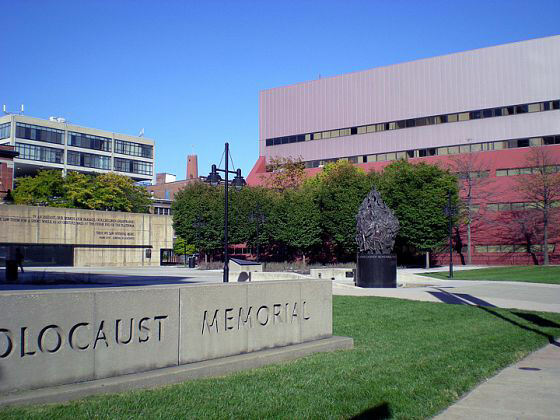 The sponsoring organization is the Heartland Holocaust Education Fund which was started by Sam (a Holocaust survivor) and Frances Fried. 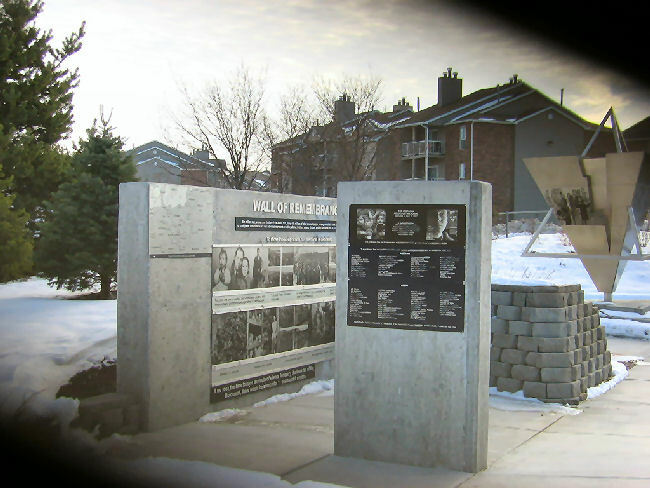 Their fund is administered by the Jewish Federation of Omaha Foundation and provides financial support to Holocaust education programs in universities, middle and high schools. 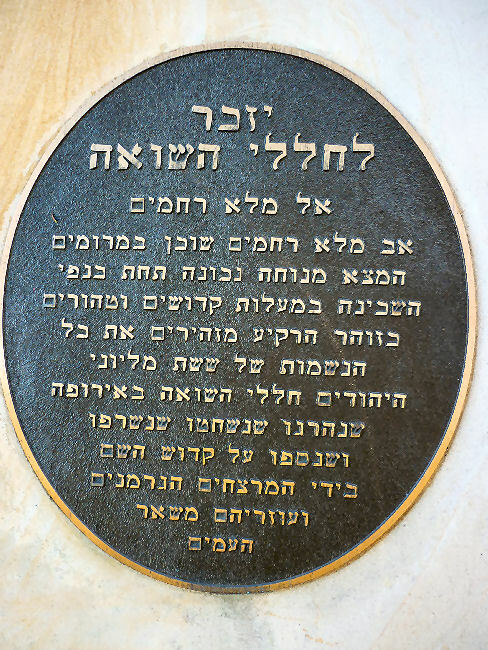 found in the garden of Temple Adath Yeshurun. 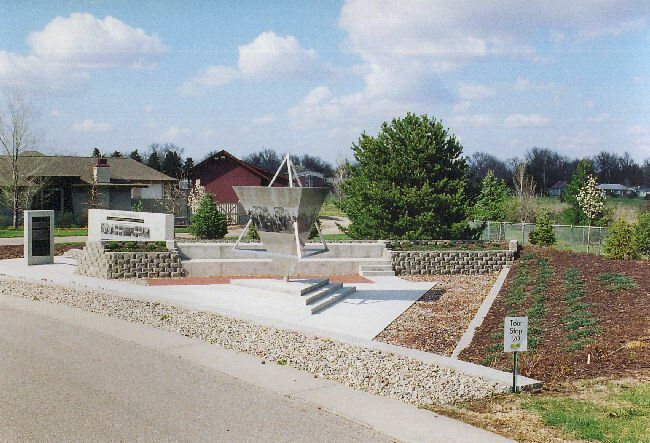 dedicated on May 25, 1961 and located in Zion Memorial Park Cemetery. 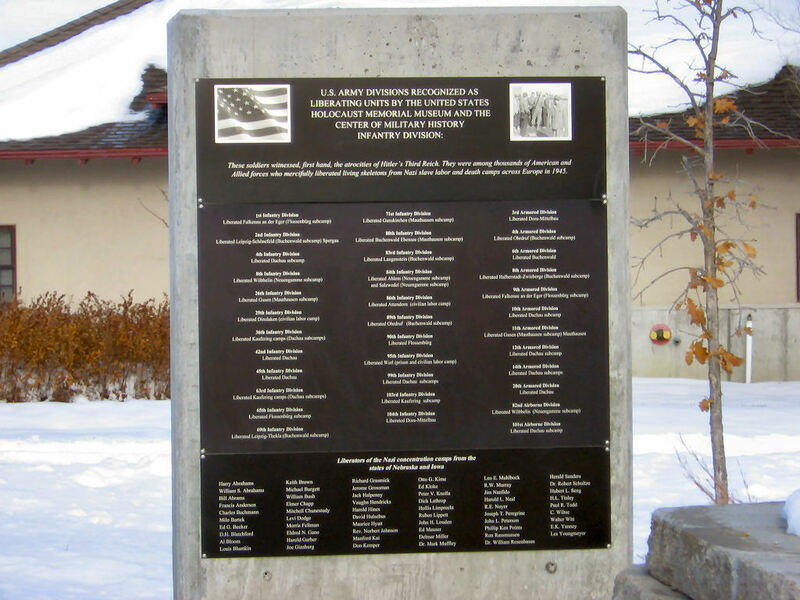 ring of granite with 1,300 names etched on it was added. 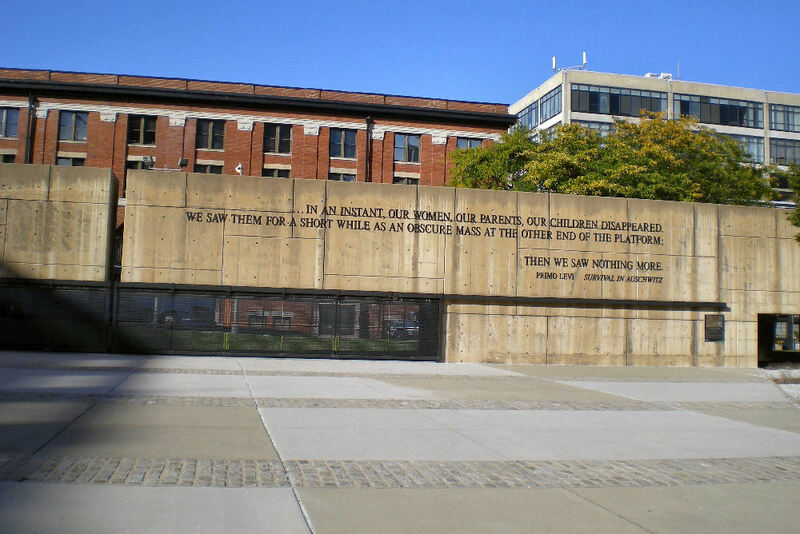 Some call it "the monument for those with no place to mourn." Please visit the memorial website at www.kolisraelfoundation.org. 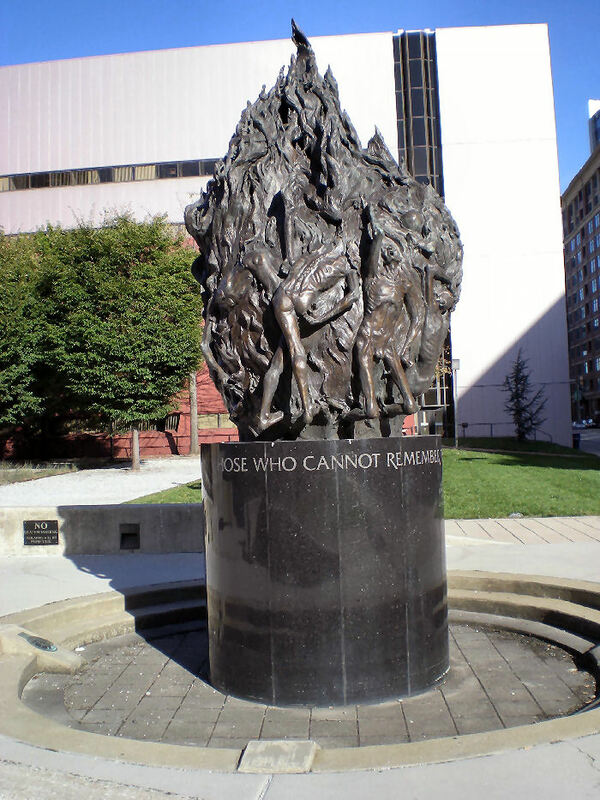 Monument to the Six Million Jewish Martyrs, by Nathan Rapaport, located on 16th Street and Benjamin Franklin Parkway. 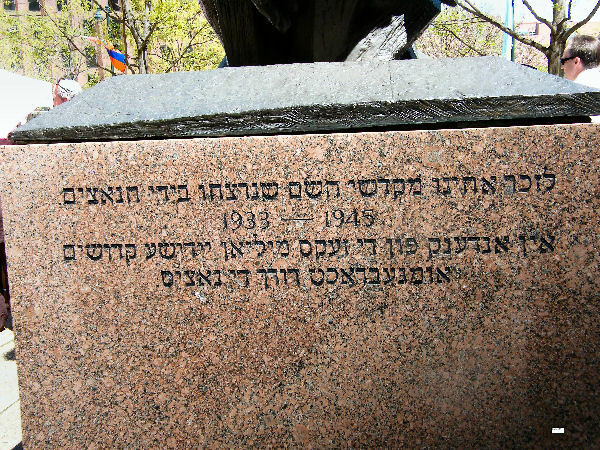 On one side of the monument base is listed the names of more than two dozen concentration camps in which Jews were murdered. 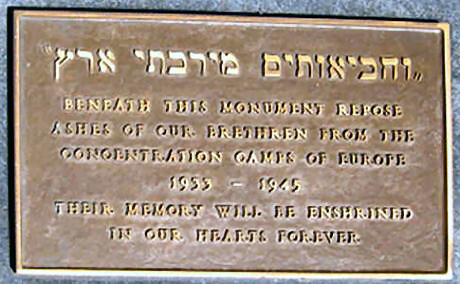 On another side the inscription reads: "The Holocaust 1939-1945....Now and forever enshrined in memory are the six million Jewish martyrs who perished in concentration camps, ghettos, and gas chambers, in their deepest agony they clung to the image of humanity, and their acts of resistance in the forests and ghettos redeemed the honor of man. 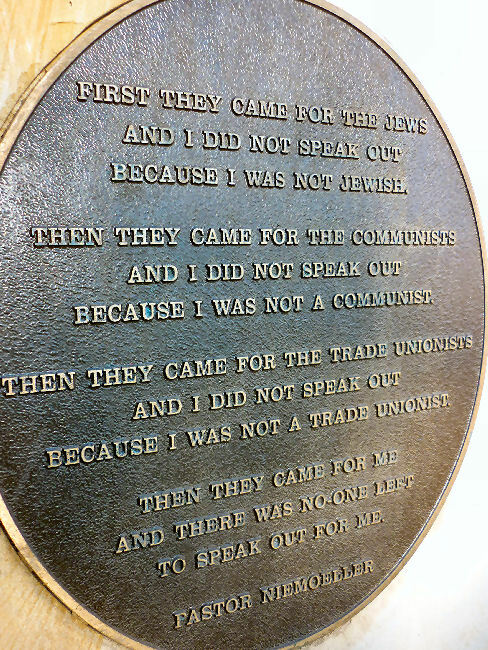 Their suffering and heroism are forever branded upon our conscience and shall be remembered from generation to generation." 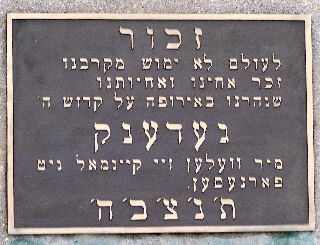 on the grounds of Ohav Shalom Cemetery.